By popular request, we have a limited number of past season's Flow Super Cedar 6 frames, available at a seriously reduced price – compatible with founding supporter Flow Hives. Sustainability is a core value for all of us at Flow, so for a limited time, we are offering these Flow Supers at 15% off—that's a saving of $97! Small cracks or dents, minor warping, knots in the timber. Moisture changes that may mean finger joints need shaving back. Crafted from highly durable Western Red Cedar and, complete with observation windows, this product is designed to accommodate Flow Frames without any modifications. 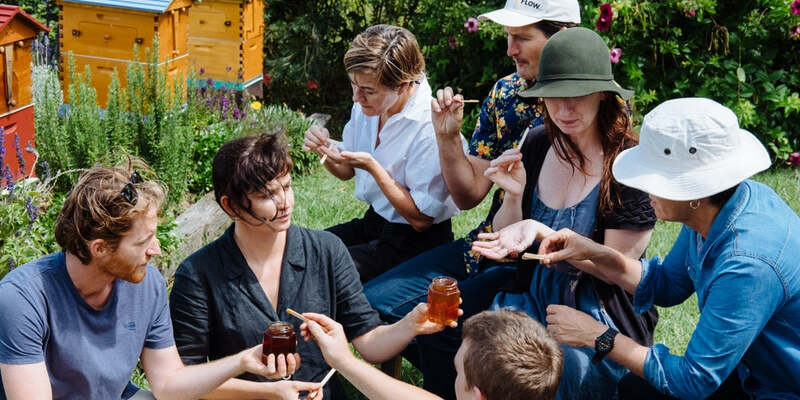 Experience the ease of harvesting with Flow and watch as pure, untouched, unprocessed fresh honey flows right out of the hive and into your jar. There are only a limited quantity so get in quick to forage for a bargain! This is not a complete hive and is designed to be added to an existing hive*.